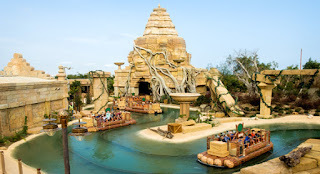 This Mekong Delta tour leads you deep into the watery world of the Mekong Delta from Saigon to Siem Reap, opening up all the splendors of Vietnam and Cambodia. 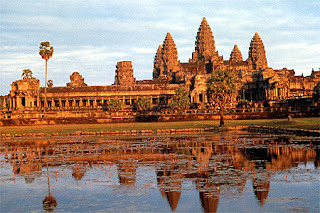 The itinerary has its all takes to ensure you truly unforgettable experiences from cruising along the Mekong River, visiting the bustling and colorful Vietnam floating markets and the royal palace in Cambodia to discovering the local life along the Mekong river as well as exploring the spectacular Angkor Wat and Angkor Thom, theWorld Cultureal Heritage. Our tour guide will pick you up at 08:00 at your hotel in Ho Chi Minh City to depart for Cai Be. After about two hours driving through countryside, we reach Cai Be Floating Market where we board our boat for a cruise through a maze of shady canals and islands. 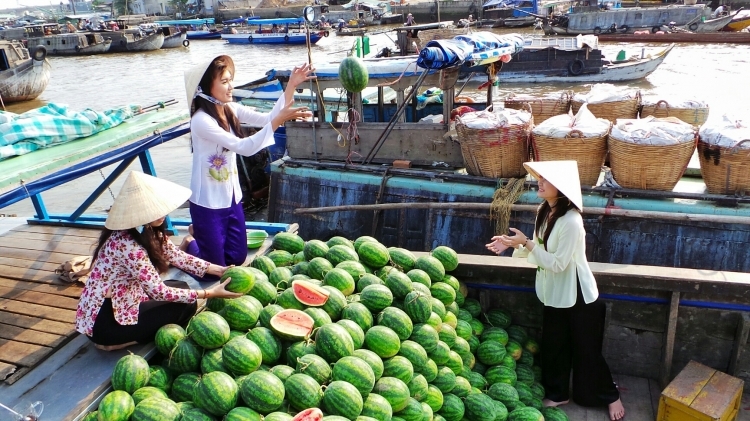 On the way, there will be stops to visit the traditional craft villages along the Mekong River, ancient villages and enjoy the Southern amateur music (Đờn ca tài tử) - one of the most typical spiritual creatures of the locals. 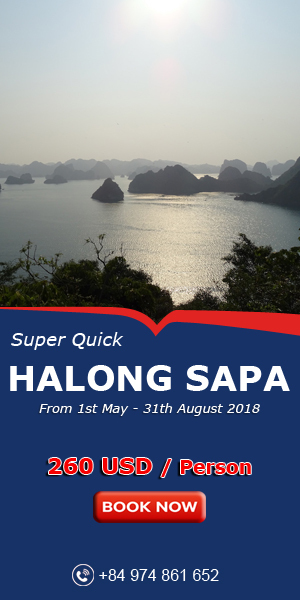 Continuing our cruise, we land at Tan Phong Island – an affluent island on the Tien River (Sông Tiền) and have lunch there. After taking a short break, we will take a rowing boat trip through small canals. 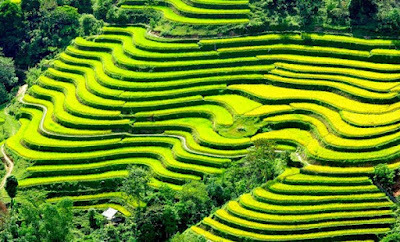 It is time for you to relax, enjoy the fresh and peaceful air of the countryside and sightsee fruitful orchards along the canals. After about one hour on boat, we will return to the dock for boarding our car to travel to Can Tho. Upon arrival in Can Tho, check in hotel and you will be free for discovering the biggest city in the Southwestern Vietnam. 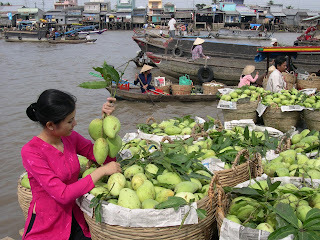 Wake up early to listen to the sound of the river, have a soft breakfast and get ready for another exciting day of discovering the most typical activity in the Mekong Delta – selling commodities on floating markets .You will be picked up at the hotel and head to Ninh Kieu Wharf where we will board a sampan boat to Cai Rang Floating Market (Chợ nổi Cái Răng) - the busiest and most lovely market in the region. 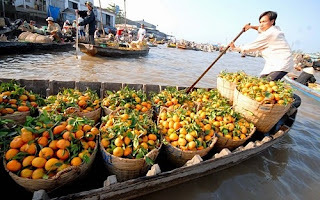 Here, you will be attracted by the sheer abundance of exotic fruits, vegetables and skillfully handcrafted products, the sound of boat rowing, the conversations among people and the movements on the river. 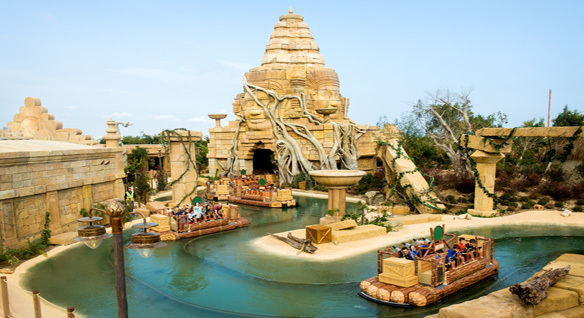 To really immerse in the bustling atmosphere of the market, we will pull up to the boats for freely talking and bargaining with the friendly merchants for whatever you want. 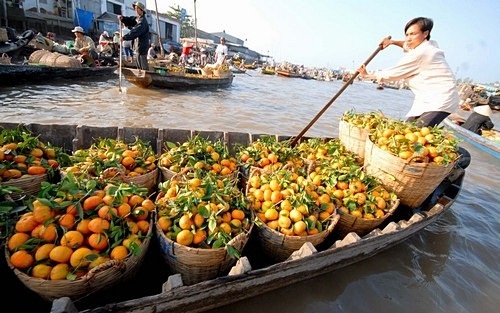 Leaving the bustling floating market behind, we continue cruising though small canals and passing large verdant orchards from which the fruits comes to the floating markets before coming back to the wharf at noon for a lunch in the nearby restaurant. In the afternoon, we will move to a home-stay in Phong Dien where you can live the life of a local, experience their daily activities such as scab groping and fish catching on the canal, coconut harvesting or crossing the monkey bridge – one of the world’s ten scariest bridges ranked by Travel & Leisure, the American famous travel magazine. Dinner will be served with local specialties. In the evening, if the weather permits, you can see thousands of fireflies showing their light over the expansive orchards, drawing a stunning picture. 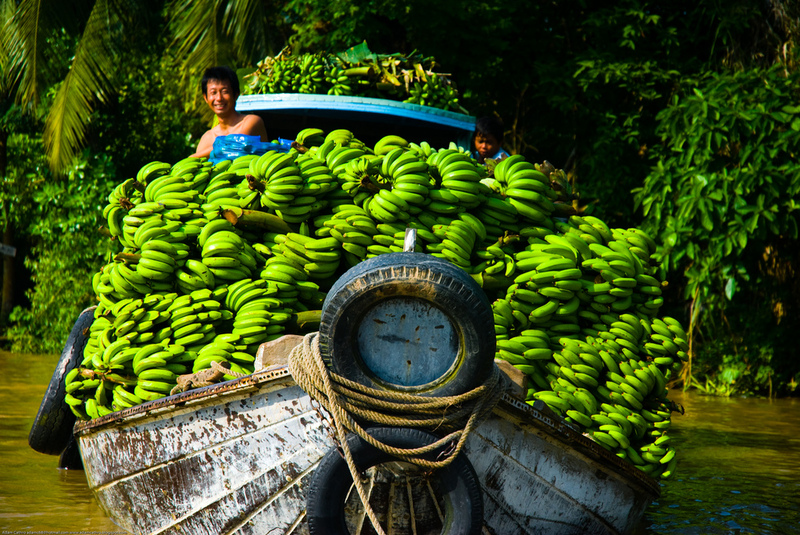 After breakfast, we drive from Can Tho to Chau Doc through the amazing Mekong Delta with occasional stops during the journey. Reaching Chau Doc after around 3 hours, we will spend rest of the day to explore this beautiful town. 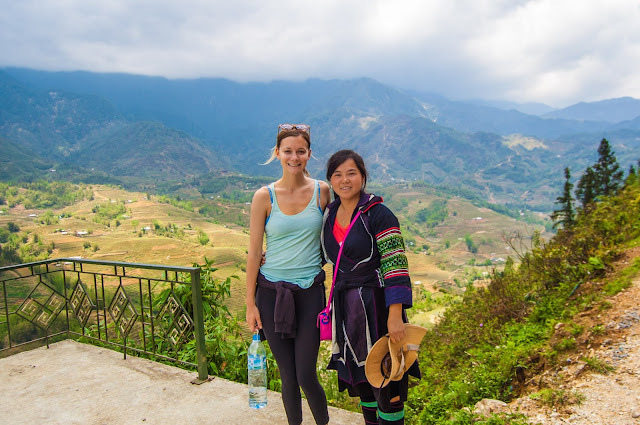 We first take a boat trip along the Bassac River (Sông Hậu) – the southern branch of Mekong River, stopping at the Cham People’s villages to learn about their traditional silk weaving skills. 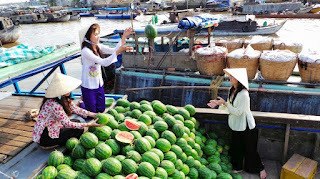 After that, we continue our cruising route to Chau Giang where the biggest Islam Church of the Cham people is located. 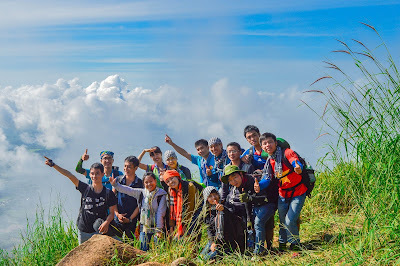 In the afternoon, we will visit the Khmer people’s temple, floating fish farm and head up Sam Mountain (Núi Sam) for a great sunset and a bird’s eye view over the paddy fields towards Cambodia. Wake up in the early morning to catch the magic dawn in Mekong Delta and after breakfast, we will depart from Chau Doc for tourist pier where you embark the five-hour speed boat for an exciting ride to Phnom Penh. Upon arrival in Phnom Penh, you will be welcomed by our tour guide and transfer to the hotel. After the lunch, we will begin a cyclo tour to visit the National Museum, Royal Palace and then Wat Phnom Pagoda where you can enjoy a panoramic view over the city under the sunset. Overnight in PhnomPenh. Start the day with a soft breakfast before our tour guide picks you up at the hotel at about 08:00 for a visit to the Killing Field – the final resting place of more than 2,000,000 victims of the Khmer Rouge regime run by Pon Pot during 1975-1979. Then, you will go on to visit the Toul Sleng Museum - which was used as a notorious prison and interrogation center by the Khmer Rouge regime from its rise to power in 1975. After lunch, you will transfer to the airport for a flight to Siem Reap – a metropolis of Angkor temples. 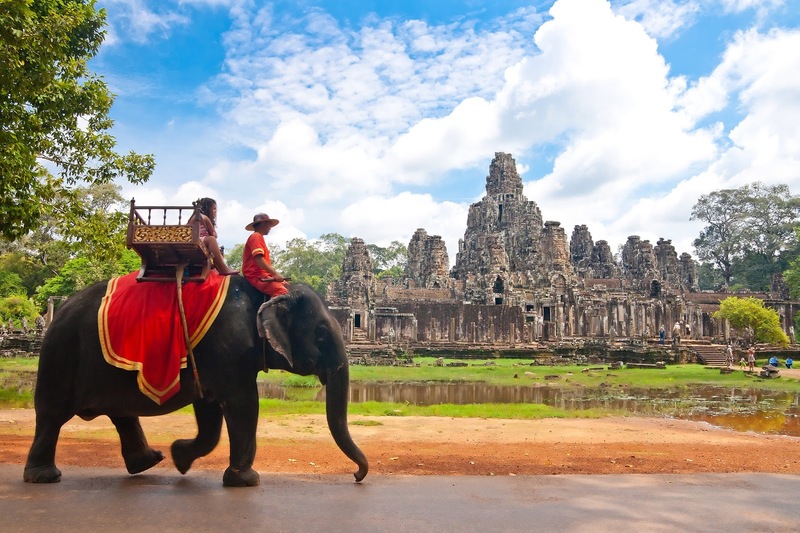 Upon arrival at Siem Reap Airport, our local tour guide will greet you and take you to the hotel. 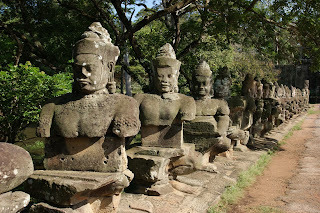 In the morning, we will start the sightseeing tour to the “Great City” of Angkor Thom. 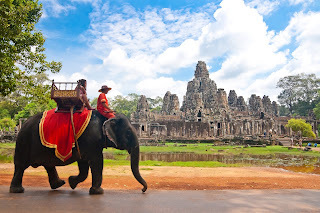 Here, we will visit the impressive Bayon Temple which represents the intersection of heaven and earth, Phimeanakas Temple within the Royal Palace enclosure, Baphuon Temple - one of the most spectacular of Angkor’s temples in its heyday, the Terrace of the Elephants and the Terrace of the Leper King. After lunch, we will continue visiting the Angkor Wat, which is one of world’s most famous and magnificent temples built in the 12th century on the area of 210 hectares and is listed among 100 must-go destinations in the world. Today, you will be introduced to the cultural features of the mighty Khmer Empire from the 9th century to the 14th century. 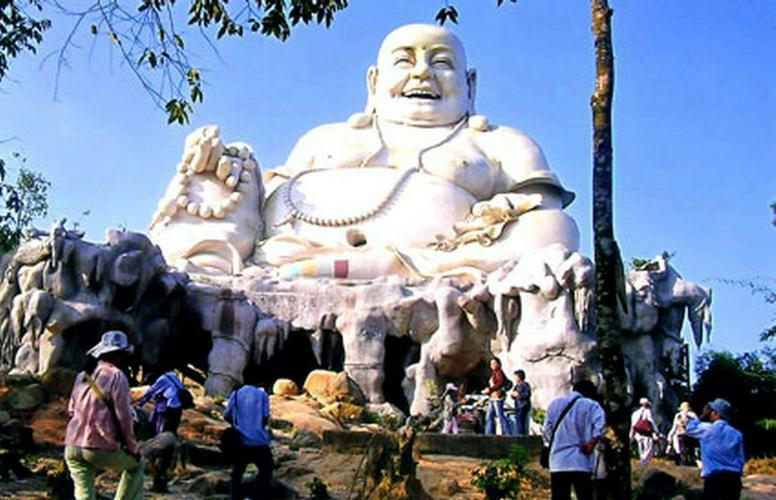 We will first transfer to visit some famous temples including Royal City of Preah Khan with the impressive stone lanterns and sculptures, Neak Pean – the temple built on a small island at Angkor, Ta Som, and East Mebon. In the afternoon, we will continue our visit by Thommanon, Takeo – one of the Angkor’s biggest mountain temples, Ta Prohm, Srah Srang, Prasat Kravan and Bakheng where you will be able to enjoy a magnificent sunset view over Angkor Wat and the surrounding countryside. On the last day of the tour, you are free to visit some temples surrounding the Angkor, take a boat trip on Great Tonle Sap Lake to see the lifestyle of fishermen or enjoy a cup of coffee at a bar in Siem Reap center. Transfer to Siem Reap International Airport for departure flight to the next destination. End of services. 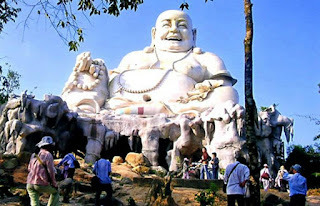 Please DO NOT wear shorts or mini-skirts to show your respect when visit temples, pagodas and historical sites.